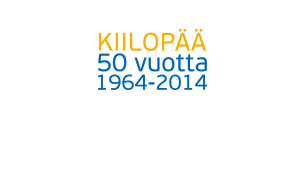 Kiilopää Holiday apartments for 2-6 persons are situated 500 metres from the main building of the Fell Centre. The handsome holiday apartments are built from Scots pine. There are 4-12 apartments in each building. A holiday apartment has a combined kitchen and living room area or a regular kitchen (set of dishes, electric stove, fridge, coffee machine, microwave oven; some apartments have a dishwasher), fireplace, sauna/shower/bathroom and drying cabinet for clothes. In the bigger apartments (for 4-6 people) some beds are on the loft. The apartment rate includes one basket of firewood, towels and bed linen (guests make their own beds). The ski maintenance facility at Hotel Niilanpää is at the residents' disposal. All holiday apartments are non-smoking. Pets are not permitted in the holiday apartments.